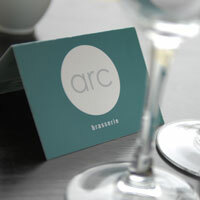 Arc Brasserie in the Waterfront Hall overlooks the River Lagan and offers superb views of Belfast. It is open from 10am to 4.30pm, Monday to Friday, for light refreshments and lunches. Have you got Google Earth on your computer? If so, then download the Google Earth Map of Arc Brasserie. Is this the wrong position for Arc Brasserie? If you think so, then modify its position.